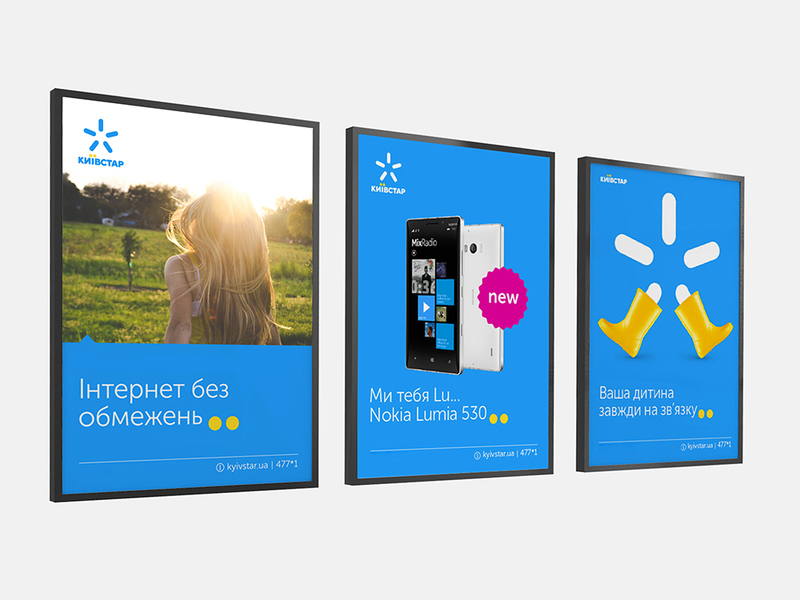 Kyivstar is the leading wireless carrier in Ukraine. 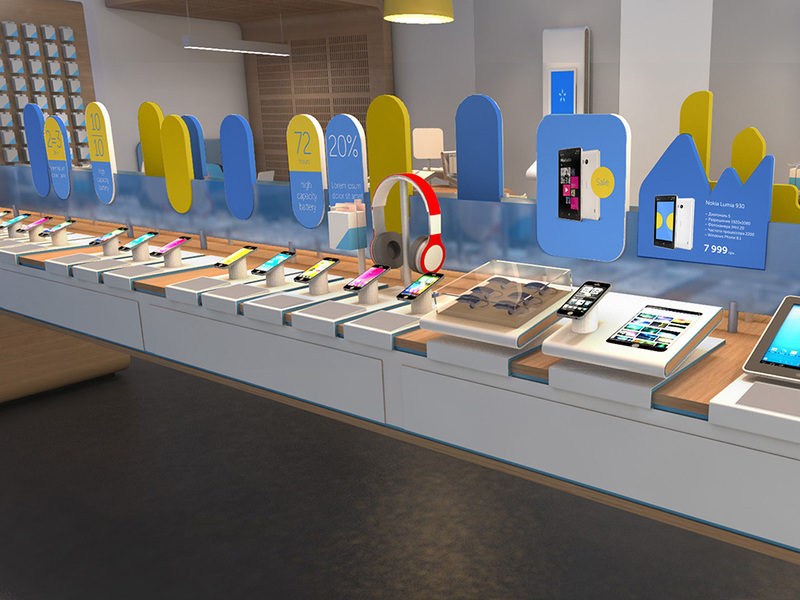 Founded in 1994, the company has been providing mobile services since 1997. Operator’s services are used by more than 25 million of mobile subscribers and by more than 800 thousand of fixed-line internet. 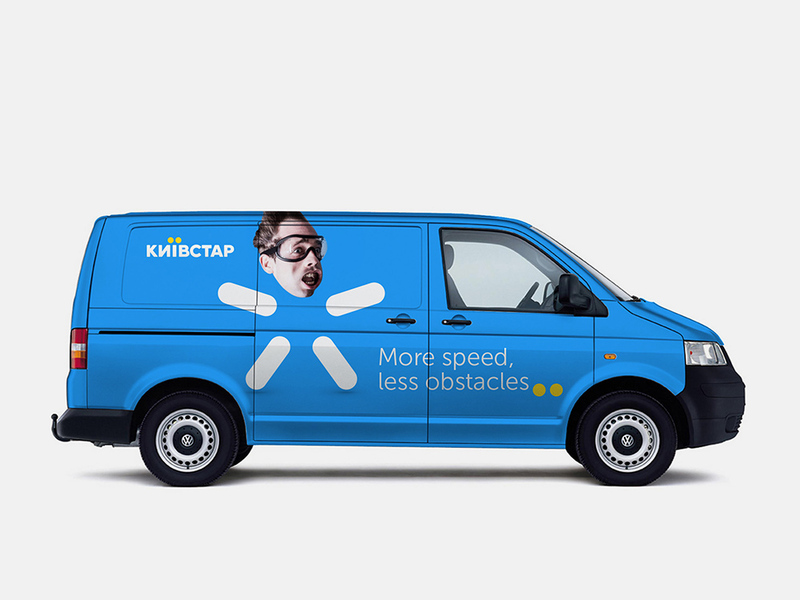 Kyivstar mobile network is one of the best in Europe and covers all the cities and towns of Ukraine, as well as more than 28 thousand rural settlements, all main national and regional roads, most of the sea and river shores. Kyivstar’s personnel amounts to 4000 professional specialists working all over Ukraine. For several years running, Kyivstar is considered the best employer in the Ukrainian market. One of the obstacles to overcome was the generic look of the visual identity and in particular of the cold and distant feel of the existing star logo and its politically influenced aesthetics. 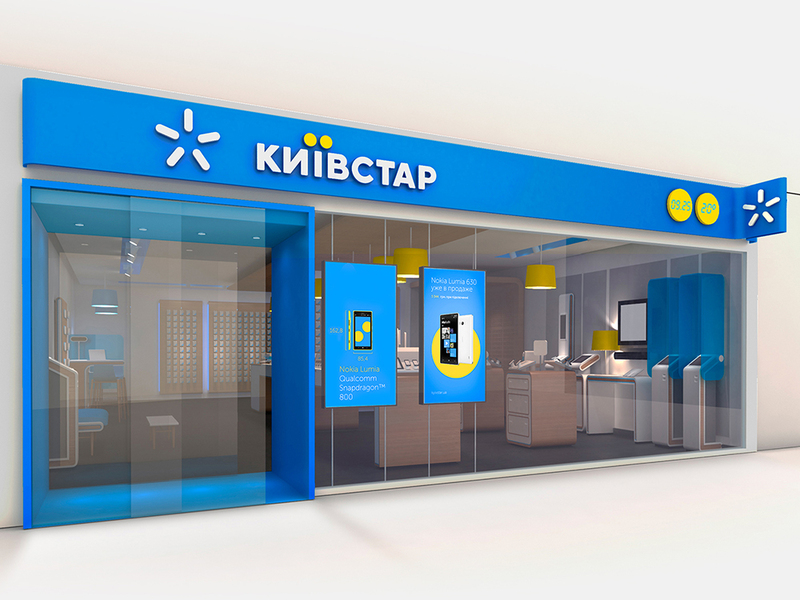 With a clear demand to keep the shape of the star, Saffron developed a new mark that represents the human side of Kyivstar: simpler, stronger, clearer and more open minded. It's a sign of power, a sign of closeness and optimism, but also a sign of change. 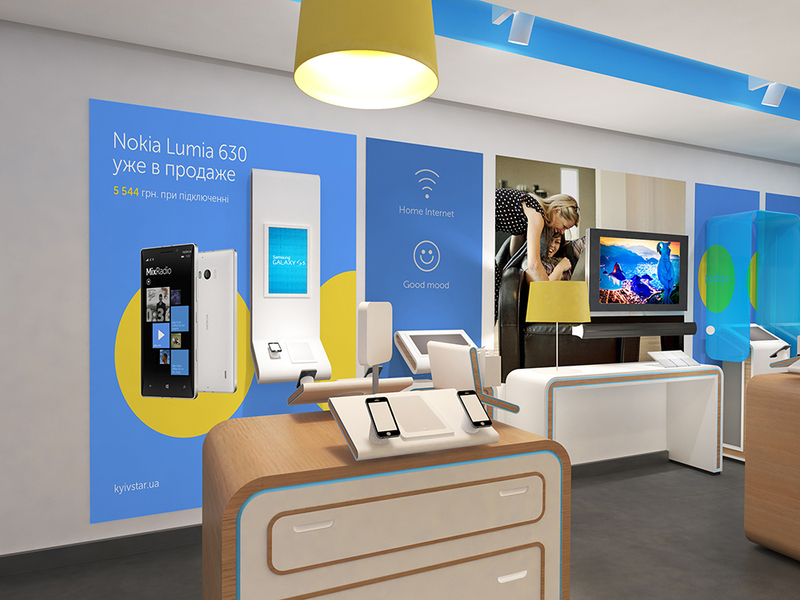 An expression of the technological expertise of the leading telecoms brand in Ukraine in a rounded, iconic and flexible design that shows the way to a better everyday. A human translation of the existing visual asset that evolves from being just anybody to being somebody. TV spot. Logo animation and mnemonic at the end. There isn't any information about the redesign but I received a couple of tips from our Ukrainian readers about it, and both mentioned that this was a fairly big deal, so this one is for you, Ukraine! The previous logo was quite something, with its bevels and shines and gradients and stuff within stuff. It also felt more like a charter bus company than a telecom and was very cold and unwelcoming. The new logo is what would happen if Walmart and IKEA had a baby logo, which by no means implies that they copied Walmart but that was my first impression. The new asterisk icon is a decent evolution-by-abstraction of the previous star; it's much friendlier and acts more like a spark. The new wordmark is an improvement only because they old one was so harsh. The rounded sans is fine and the oversize umlaut is fun but the kerning is a mess and the spacing too tight for it to function at smaller sizes. The best part about it is the animation and sound that goes with it (see video below), behaving in a very consumer-friendly manner. Update: I've added credit to Saffron, link to their project page, and new images after the video. Thanks to Alexander Pazhyn for the tip. 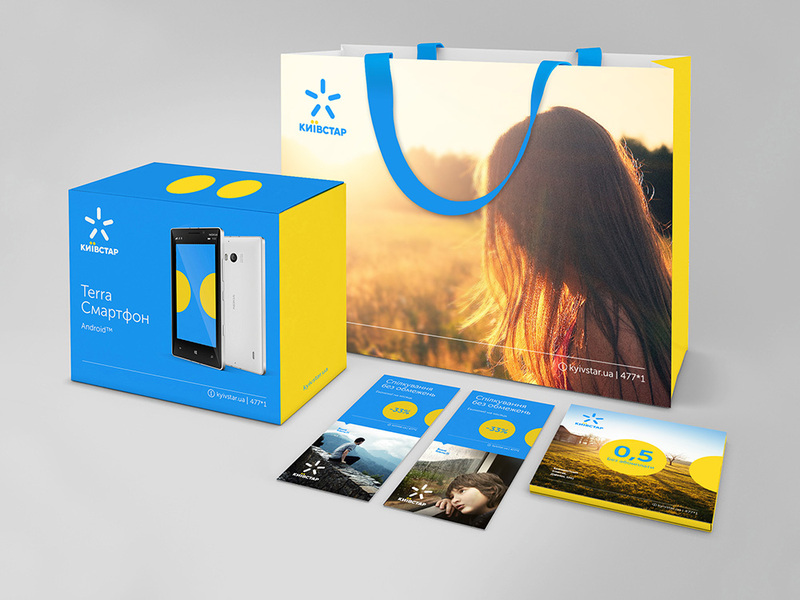 Kyivstar is the leading wireless carrier in Ukraine. Founded in 1994, the company has been providing mobile services since 1997. Operator's services are used by more than 25 million of mobile subscribers and by more than 800 thousand of fixed-line internet. 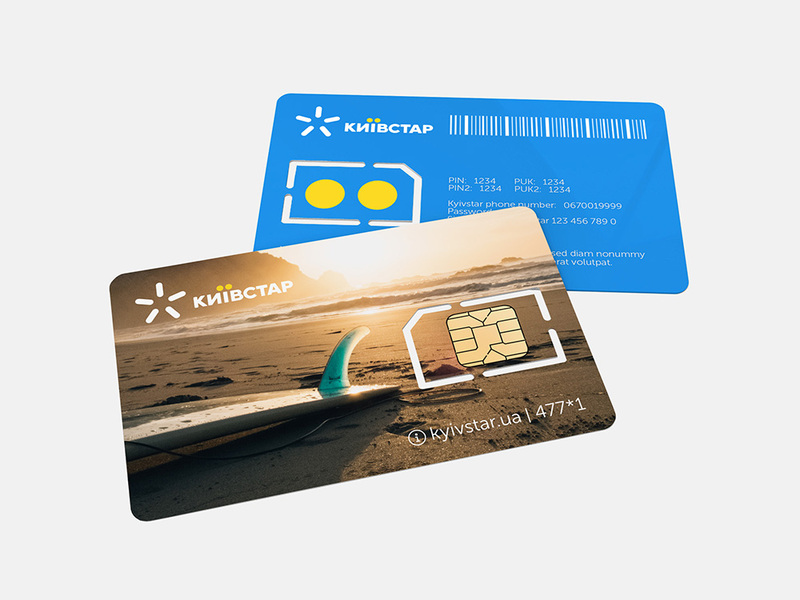 Kyivstar mobile network is one of the best in Europe and covers all the cities and towns of Ukraine, as well as more than 28 thousand rural settlements, all main national and regional roads, most of the sea and river shores. Kyivstar's personnel amounts to 4000 professional specialists working all over Ukraine. For several years running, Kyivstar is considered the best employer in the Ukrainian market.